2. Built-in casters Trolley Bags with strong nylon zipper, alloy pull with double head lock hole and pull smoothly. 3. PVC casters and built-in pocket can carry laptop with a strong protection. 4. Built-in press locks and elastic band to make things firm. 5. Lining : high density with 210D nylon fabrics. 6. It can bear heavy goods. 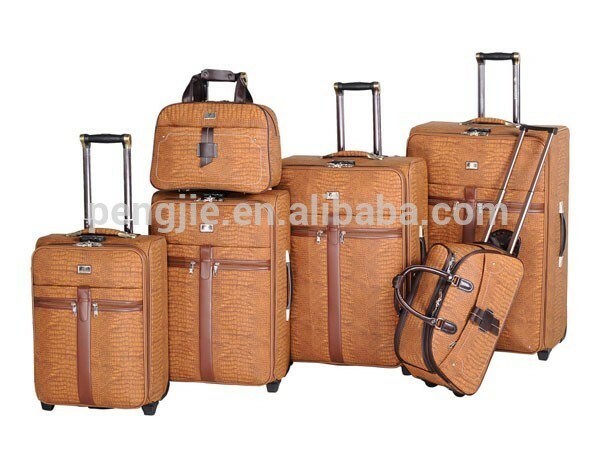 Looking for ideal Suitcase Type Trolley Bag Manufacturer & supplier ? We have a wide selection at great prices to help you get creative. All the Department Name Trolley Bag are quality guaranteed. We are China Origin Factory of Unisex Trolley Bag. If you have any question, please feel free to contact us.